Instagram is not the only company placing new bets on the intersection of social media and retail. In April, H&M launched an online fashion advice forum called Itsapark. The website answers various wardrobe inquiries — "What new jean styles do I need to invest in for 2019?" for instance — in the form of a video or outfit photos, usually created by an influencer. Each piece of content offers shopping suggestions from a slew of retailers in addition to H&M&apos;s own offerings. Users can also explore the site&apos;s "Find" page and discover more items based on different trends on the site, from boiler suits and romantic blouses to squared-toe shoes and cycling shorts. 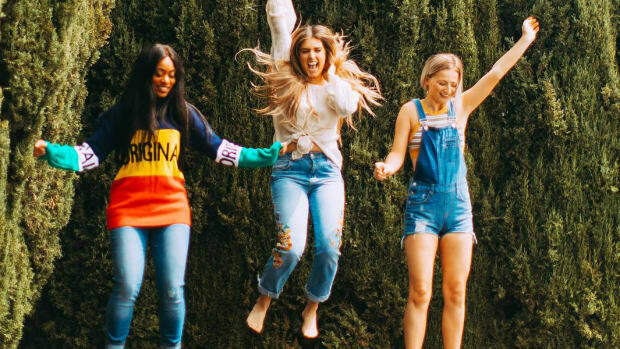 Mobile Shopping and Social App Dote Is Aiming to Be "Gen Z&apos;s Dream Mall"
Our online buying habits are certainly changing, thanks to the continual (and lucrative) rise of mobile shopping, peer-to-peer commerce — think Depop, Poshmark and Etsy — and influencer marketing. We&apos;re starting to swap the traditionally-solitary experience of scrolling through pages and pages of product on a retailer&apos;s website to discovering brands and purchasing items because we saw them on Instagram or Pinterest. According to a report from Adobe, social networks as a last-touch channel have doubled in visit share — growing 110% — to U.S. retail sites between 2016 and 2018. "We&apos;re not living in a retail apocalypse, which is the doom and gloom people have been painting in the last couple years, but rather a retail transformation," says Cassandra Napoli, Associate Editor at WGSN. "Social commerce has been on our radar for years." One example that Napoli finds interesting is how retailers are teaming with influencers to co-create exclusive collections. (Think Something Navy&apos;s success with Nordstrom). "Those kinds of partnerships allow the influencer the ability to reach out to their following," says Napoli. "Not only is the influencer co-creating with the brand or retailer, but also really leveraging Instagram tools, which are polls and submitting feedback, to determine what to create next." Earlier this year, Poshmark released a report that focused on the emergence of social commerce, including a tidbit from eMarketer, which predicts that by 2021, nearly 70% of retail e-commerce sales will come through mobile. "It&apos;s really disrupting on both sides," says Poshmark founder and CEO Manish Chandra. "You have small storefronts from people putting their closets for sale, but on the other hand, it&apos;s a journey where you can have brands grow up to be the next Michael Kors or Versace." And while these major social platforms and online marketplaces are evolving how we shop today, new apps are starting to pop up with social commerce at the core of their business. 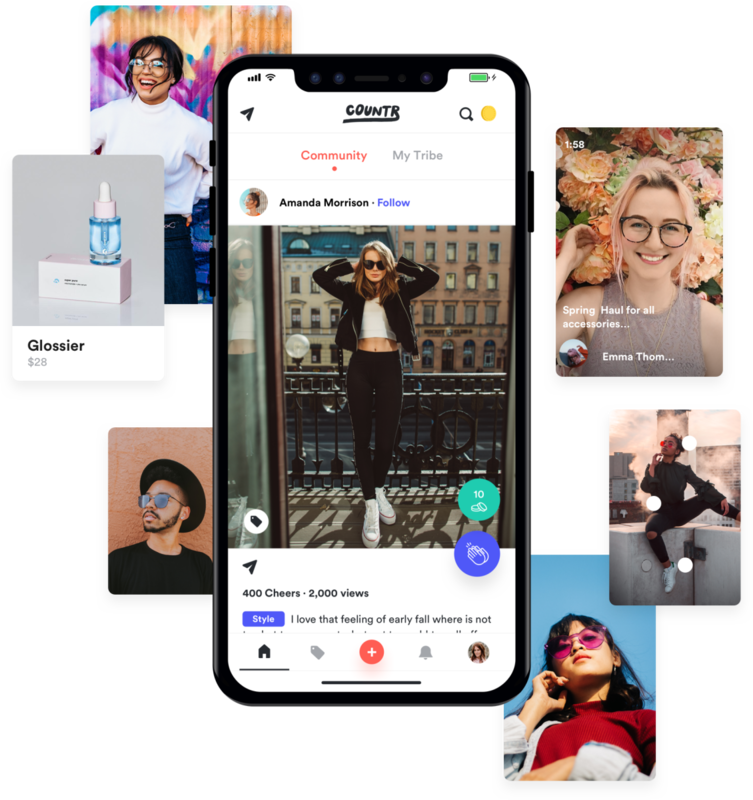 Countr, which launched in December 2018, is an online community of female users, mainly around the age of 25, who post and share shoppable content on the app. Each brand or store on Countr, including Bloomingdale&apos;s, Outdoor Voices, Aritizia and hundreds more, is personalized with product recommendations based on the user&apos;s social activity. "Starting Countr came from the realization that online shopping is still really inefficient and, more importantly, shopping is fundamentally a social experience," says founder and CEO Manon Roux. "We&apos;ve spoken to hundreds of shoppers at this point and realized they felt the same. Don&apos;t get me wrong, Google and Amazon are great to find specific items, but they&apos;re not great for discovery. Most of us discover through friends or people we trust and we wanted to figure how we could build that from a social commerce standpoint." Currently, Countr creators can earn cash (dubbed "unicorns") through likes (known as "cheers"); in the coming months, users will receive 50% of commission share on the sale of their tagged products while the community shops and purchases within the app. "How can anybody have access and monetize and be rewarded for what they&apos;re already doing? I think that&apos;s most important for us," says Roux. "The consumer has a voice and a process and we believe in having everybody win on the platform." In January, Eric Senn launched Storr, another app in this space that essentially turns people into retailers. "We&apos;re really excited about the potential that Storr has to revolutionize traditional retail and capitalize on the social commerce movement in a way that empowers people to make money that would normally go to traditional retailers," says Senn. "We&apos;re moving away from channel-first commerce to people-first commerce." The way that Storr works is that every user can curate their favorite products from around 200 brands, including Adidas, Solid & Striped, Re/Done, Prabal Gurung and The Last Line, to name a few. (By the end of the year, Senn expects to have up to 1,000 brands available on Storr.) For every purchase that&apos;s made from a user&apos;s profile (or "Storr"), that user can earn commission, or choose to donate a percentage of those earnings towards a charity. Though Dote has been around for nearly five years, the "Dream Mall" for Gen Z has been figuring out more ways to engage its users while shopping on the app. On Tuesday, Dote will debut Shopping Party, a new feature that allows top creators (or influencers) on the app to interact with their followers via livestream video. "When we stopped going to malls with our friends and started shopping online, the experience became one skewed toward convenience and assortment," says founder and CEO Lauren Farleigh. "Along the way, we lost the social experience that shopping can be, which so many people have enjoyed throughout the history of commerce." And because Farleigh&apos;s career background is rooted in gaming, she turned to the video game livestream platform Twitch for inspiration. "I always looked to gaming in terms of being innovators and how you can leverage new technology," she says. "What Twitch did was it created not only a livestream experience, but a meaningful interaction through that livestream over a shared experience." 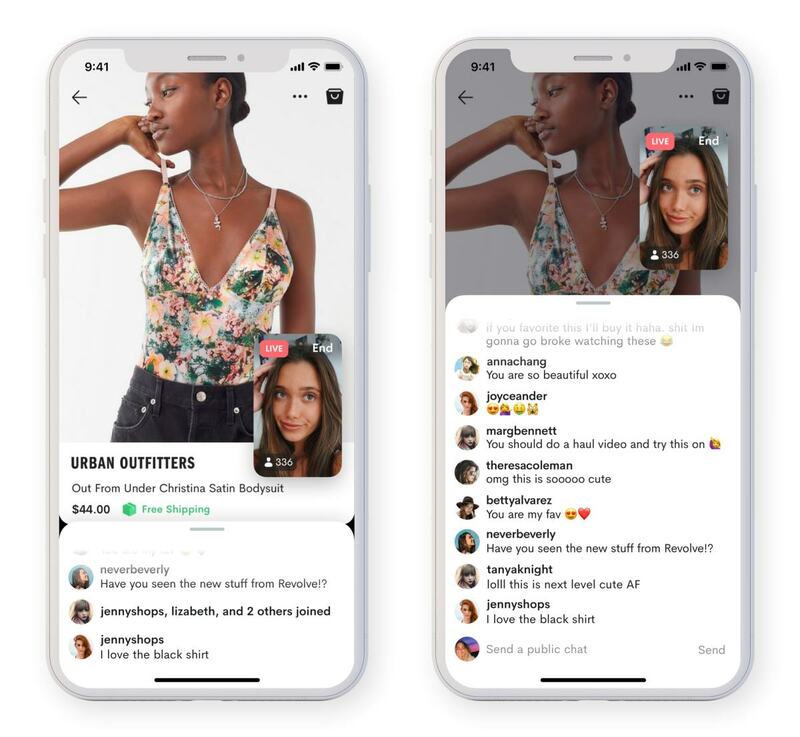 During a Shopping Party, followers will be able to chime in and comment on the video while viewing both the host and everything that they&apos;re browsing on the Dote app. Once a Party wraps — typically they run for about 15 minutes — all of the products that the host favorites become shoppable and are listed on their profile. To celebrate Dote&apos;s new launch, Shopping Parties are scheduled for every hour over the next two weeks, totaling more than 400. With Gen Z holding $44 billion in buying power, and set to overtake millennials as the largest segment of consumers this year, capturing their attention should be at the forefront of any retailer&apos;s mind, and Dote has made that its mission. "[Gen-Z consumers] have an [average] attention span of eight seconds, which is less than a goldfish," says Napoli. "How do you capture their attention when they&apos;re inundated with so much noise and choice paralysis because they don&apos;t know where to turn to? Creating a space that&apos;s a one-stop shop where people can have a community and share images of items they may be able to purchase back and forth with friends — there&apos;s a real ROI to that. That&apos;s the revolution here." Plus, YouTube star Emma Chamberlain teases an upcoming project to be sold exclusively on Dote. With so many new social apps and online platforms and e-commerce sites popping up every day, veteran platforms like Facebook can start to look stale and irrelevant by comparison. Turns out Facebook is actually still a force to be reckoned with, especially when it comes to what it can do for brands.